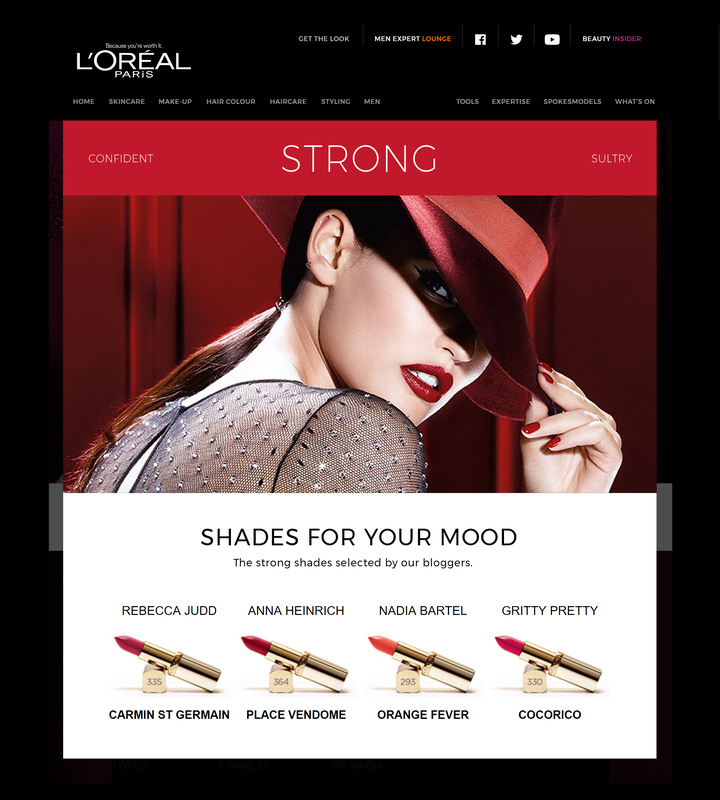 To help launch L'Oréal's new lipstick range Colour Riche, I worked with the agency McCann in Melbourne to bring the print campaign online. The microsite homepage led off to subsections featuring each of the six moods which could be created with the lipstick range, along with lipstick recommendations by celebrities. 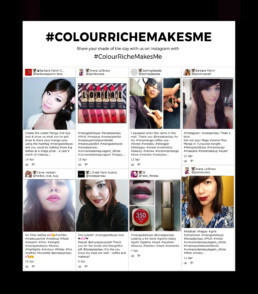 An Instagram feed using a campaign-specific hashtag allowed visitors to be part of the Colour Riche online community, fostering an exchange around everyday use of the product. 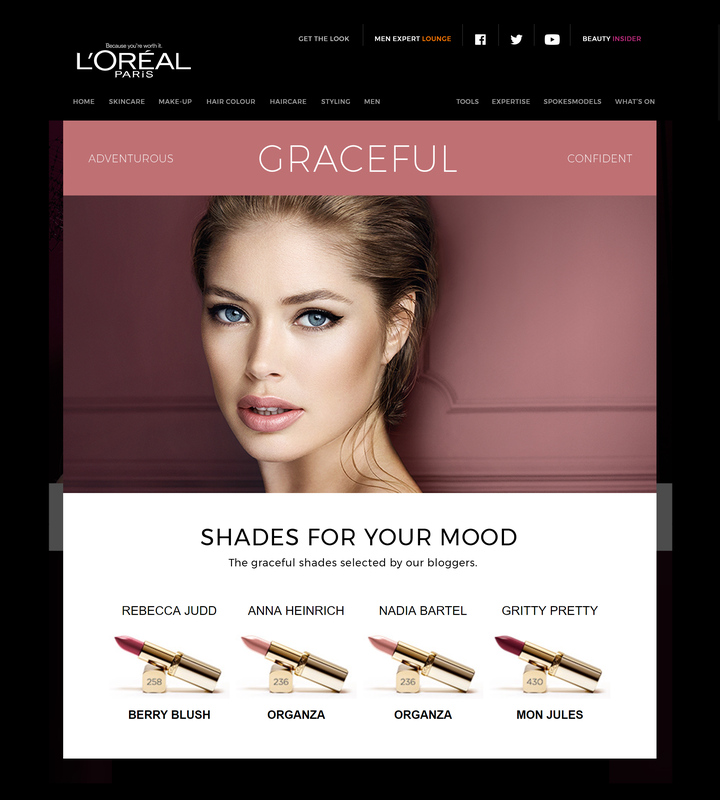 The key aim of the microsite was to feature the six different moods that could be created with the Colour Riche lipstick range. The website launch accompanied the ATL campaign which included press as well as large-format outdoor ads which appeared all around Melbourne. 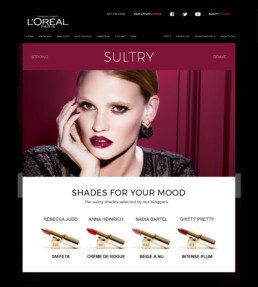 The rich talent shots were used online to lead visitors off to each of the six mood feature sections. Each section included lipstick recommendations from celebrity bloggers, to inspire experimentation and suggest real-world applications for the range. 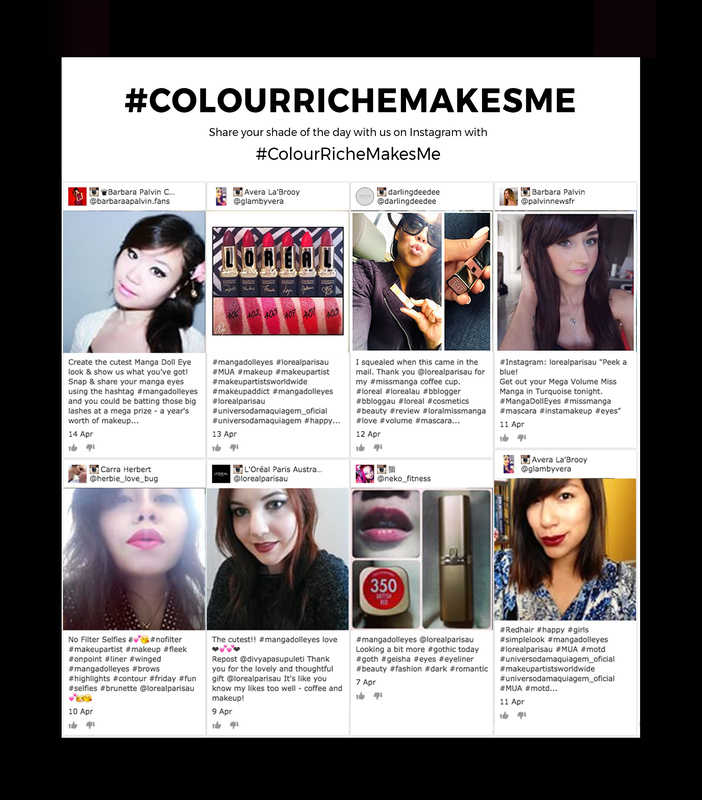 Using the #colourrichemakesme hashtag, the Instagram feed on the homepage allowed users to engaged with the online beauty community, tapping into their desire to be seen and prompting them to associate the product with scoring social media points. 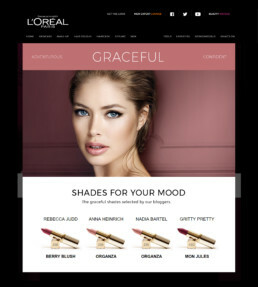 The feed also helped support the perception of L'Oréal lipstick as an affordable alternative to more high-end beauty products, by fostering a positive exchange around real-world, everyday application of the lipstick. (Please note: content is placeholder only).